Don’t forget to have your play rated with your MoreClub card. 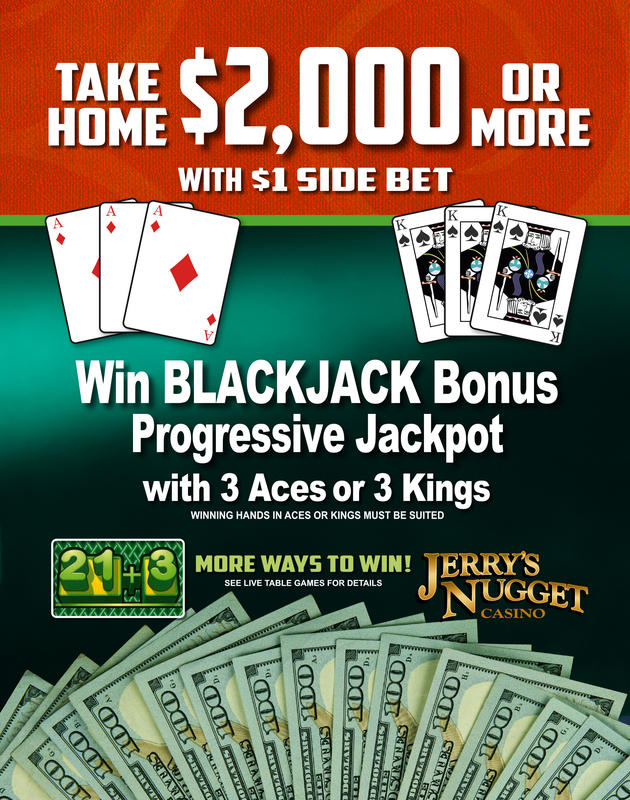 Not only will Jerry’s reward you with comp for your play, but we’ll give you cash back, now that’s a sweet deal! 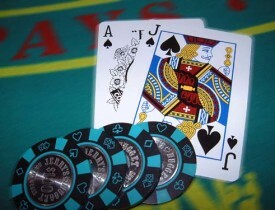 The friendliest dealers in town are awaiting you at Jerry’s Nugget! 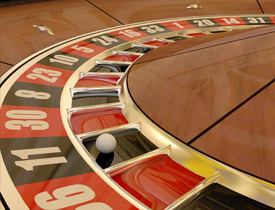 CRAPS PLAYERS WIN MORE AT JERRY’S! 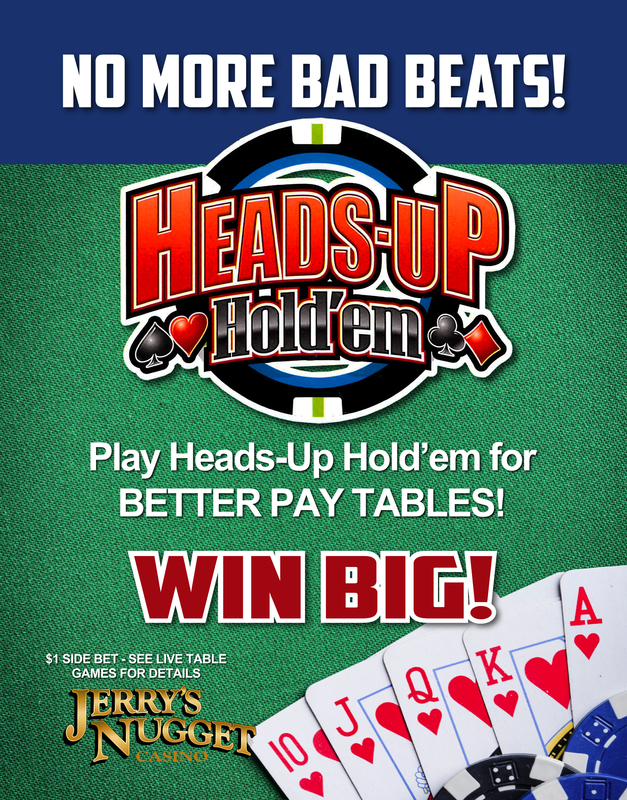 HEADS-UP HOLD’EM – NO MORE BAD BEATS!